Yesterday I received a voice message from Advocate Venkatasubramanian, who is heading the Sankarapuram & chaturveda gramam under the direct guidance of Mahaperiyava. Each and every step in that project is guided by Mahaperiyava. Either He comes in dreams and gives advice or give it in some other way. Vakkil Anna has been posting those experiences every Thursday. Although I couldn’t listen to all of them, I happened to listen to this one message that was posted by him. Someone having a mahan in their dreams is a great blessing. Giving some key message through the dream is even more important. Please listen to this voice memo from vakkil Anna. After listening to this, almost every one of us should start doing trikala sandhyavandhanam. He can’t be anymore direct in His message to all of us. We cannot ignore that. Message to all women – Take shower before entering into kitchen daily. This incident is also a great testament to the fact that the Sankarapuram project is fully micro-managed by Periyava Himself. When we re-designed Periyava Radio, we thought about this and have created a way to record our sandhyavandhanam and Gayathri count. Idea is to remind us all on how many days we missed it so that we will improve in the days/weeks ahead. If you have not downloaded the app, please go to playstore or App Store and search for “Periyava Radio” and download. 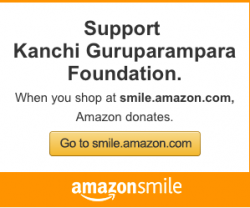 The whole goal is to make more people do sandhyavandhanam daily – without that, we are NOT true devotees of Mahaperiyava. Let us take a resolution to follow Periyava’s guidance. Very nice..kindly forward translation in English.. It is very difficult to do sandhyavandanam three times a day. For, apart from our hectic career and family pressures, we are distracted by so many thousand things in our daily life. But we can recite Gayatri mantra in our mind irrespective of the job at hand. It takes 21 minutes to do three SandhyaVandhanams with 32 Gayatri each. 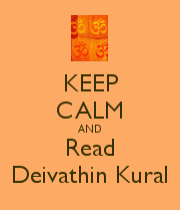 What would happen if Periyavaa says “It is difficult to protect us all. HE has seven billion people and countless other aatmaas to take care of?”. It is time we do what HE prescribes and do not set rules / make our own. Thank you very much Mahesh for posting this. Don’t ever stop the wonderful service you are doing by bringing such info to all of us. Now, all of us can help in our own way in making this Maha Periava’s sankalpam to reality. Will definitely visit this place next time we visit India. I am so happy that there is going to be a place for chathurveda Patasala. Plus, we all need to follow the advise of Maha Periaval to all of us. Sandra for men and taking bath before entering kitchen for women. A Moving Message ! May Periava bless me to perform more intensively my sandhya vandanam wth faith and devtion and surrender..Strangely I was requested to speak about Sandhyavandhanam tomorrow evening at a Manatap , prior to Upanayanam next day.I was wondering what to speak.This message ,which I happened to hear and read by chance, will be conveyed to all. A message from Periyava himself. What else do we want!! We are all Brahmins by namesake. Atleast now we shall start practising our dharma. After all you need a cup of water to do sandhi. 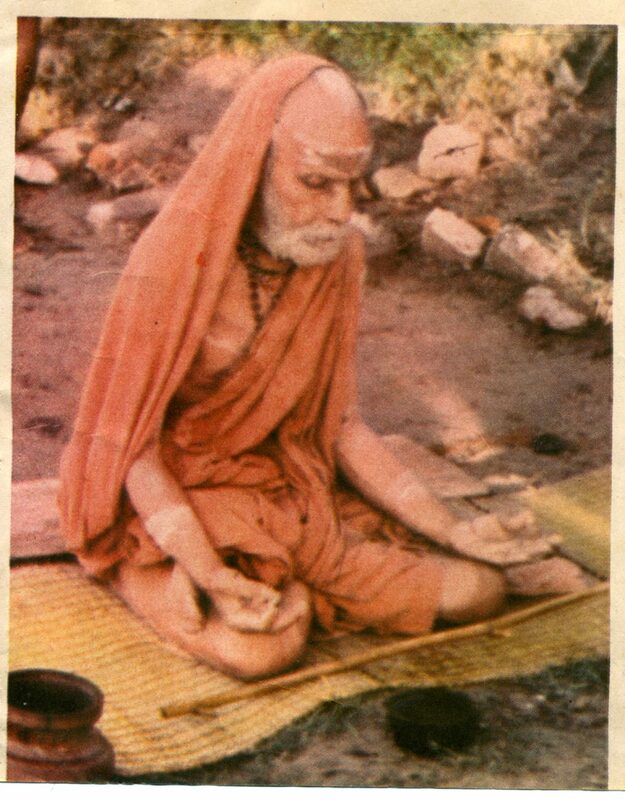 Let us all follow His advice and be atleast of some use to Periyava and this world! Thank you so much for sharing this message . Where can we listen to rest of the voice messages by advocate anna? Can you please share them? I had a chance to meet and discuss with Brahma sri Mullayvasal Krishnamoorthy sastrigal. I was not able to do my evening sandhyavandanam due to office timings. He told me that we can do evening sandhyavandanam till next day sunrise. He told me to do evening sandhyavandanam after coming from office . I work in IT and timings are rather odd. I do the Praarhas in the morning and follow it up immediately with Maadhyaneekam – 6:30 AM, 7:00 AM. Saayam sandhya I do it at 10:00 PM – I reach home at 8:30 PM or 9:00 PM and have to put kids to sleep. After that I bathe and do my Saayam Sandhya. There have been days when due to tele-conferences I end up starting Saayam Sandhya at 11:00 PM- nothing wrong if we do the Kaalaatheega Prayaschittaartham correctly. With office hours how can we plan Trikala. Some people have advised to do MAdhyAnikam after 8:30 am but we are in office by that time. It is much better to do it early in the morning after pratah sandhya and puja, than not at all. On weekends/holidays, it can be performed at the right time. The desire to do it at the right time (and the opportunity), will increase, even with little practise! Jaya Jaya Sankara, Hara Hara Sankara! Thank you. How do you handle during travelling. Whenever I travel I do the particular sandhyavandhanams either before or after travel, immediately after reaching the destination.